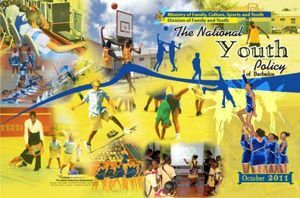 The Youth Entrepreneurship Scheme recently launched its 2016 Entrepreneurial Development Training Programme at the Ministry of Culture, Sports & Youth Training Room, Sky Mall, Haggatt Hall. Youth Enterprise Officer (YEO) and Training Coordinator Claire Inniss in welcoming the new entrepreneurs to the 2016 Entrepreneurial Development Training programme reminded participants that like most things in life, "your dividends and returns will be directly related to what you invest". "I encourage you to see this time as an investment in yourself, a time of self-development, of expansion and growth; a time to challenge your own boundaries. Begin to see yourself as greater, as successful and as entrepreneurs. Once you have that vision set before you, work at it like your life and livelihood depend on it." 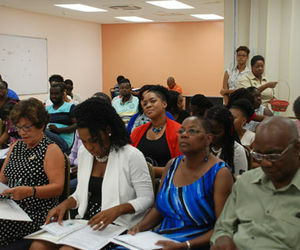 YEO Inniss assured the new entrepreneurs that the new experience would come with a mixture of fear and excitement but YES has placed the entrepreneur at the centre of its programme design. The intention is that the concepts learned in the classroom can be easily transferred to their business. 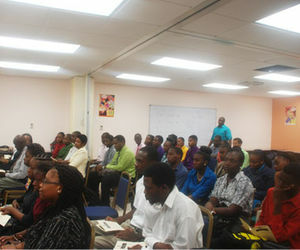 During the morning orientation programme Shane Reid and Zaria Best were declared the proud winners of Network Bingo! The entrepreneurs, who are participants in the 2016 Entrepreneurial Development Training Programme won the interactive, exciting game which called on all participants to get to know each other. Participants had to meet and learn several things about persons in the room. Lots of action! Loads of fun! Caption: Entrepreneurs having fun playing Network Bingo!